Because of December activities, I didn’t read my usual number of books. Plus, I abandoned two so that was discouraging. I did accomplish reading five books. Two of them were Middle Grade selections…..heartfelt and inspirational Middle Grade Literature is a perfect genre for busy seasons! The Most Compelling Character from my December reading is brave and determined Amal from Amal Unbound. Please see my review here to find out more about her! Come back tomorrow for my Best of the Year List! Happy New Year Book Buddies! Brace yourself for a nerdy post, bookaholics! Have you ever set a reading goal or considered a reading challenge? First, let’s look at Reading in 2018. I’d love to hear from you if you analyze reading data at year’s end. Although I’ve always been analytical, I think my appreciation for using data to inform the future was heightened during my tenure as a teacher when I poured over student data to inform my teaching. Now, instead of looking at student achievement, I’m paying attention to my own numbers as it relates to reading achievement. I realize that while numbers are not that important in a rewarding reading life, they do reveal some trends and inform future reading choices. It’s important to me that I’m reading diversely, supporting women authors, and increasing my non fiction percentage. While this post about the numbers is mostly for me, I hope you find it interesting and possibly motivating toward considering your own reading achievement during the past year and setting some goals for 2019. If you’ve read ONE book this year, you’re a reader and I encourage you to celebrate that read and accomplishment! I’d also like to know (in comments) what you’d like to see more of or less of on the blog for 2019. Has the variety this year been satisfactory for you? I’d love to hear your thoughts! In fact, I may put together a survey in January. Also, start thinking about the best book you’ve read in 2018, and I’ll be back in a few days to discuss and share my list. This is the highest number of books I’ve read since starting a reading log and retiring….I averaged 25-30 books a year when I was teaching full time and the majority of those were read during the summer. For me in this season of life, 100 books is a comfortable number. I average two books per week and the weeks when I can only read one dense nonfiction are balanced out later when I can read 3 lighter, shorter books in one week. I’m getting better at abandoning books that aren’t working for me. There are too many great books waiting to be read to make myself finish something that isn’t right for me at the time. Are you a fearless abandoner or a committed finisher? One of my goals in starting this blog is to support women authors writing about strong women and I feel like I’ve had success in this area. I’m defining diverse books as ones that take place in a culture other than my own and whose characters are ethnically different from me….. some historical fiction could fit this definition but I didn’t include them in the diversity count. The diverse titles I’ve read this year are among my most memorable reads of the year. The sub genres add up to more than 92 because a few books fall into more than one category. This is obviously a favorite sub genre! This is a category which brings about debate among readers….the most agreed upon definition is that literary fiction is not genre fiction. Also, it’s known as literature written to explore the meaning of life and its issues….for example, most prestigious award recipients and national prize winners are categorized as literary fiction. Clearly, I don’t read too much in this category because real life is scary enough….mainly, the books I read in this category are best sellers that I want to form my own opinion about. However, one of my favorite mystery series that I’ve deemed “just right” is the Inspector Armand Gamache Series set in Three Pines by Louise Penny. The main purpose of these stories is to focus on a social or health issue. I usually enjoy these books unless they are heavily agenda driven by the author. I love a great Middle Grade read! There’s some enjoyable and engaging literature in this category for adults! In fact, one of these Middle Grade reads will make it on my best of the year list. Usually I read more YA, so this is a surprisingly low number for me this year. This is a definite area for improvement for me in 2019! Memoir is a clear favorite form of non fiction. Biographies written in story format. Goodreads Reading Challenge (determine how many books you’d like to read and track them through the Goodreads app). This is the easiest of the goals/challenges as it simply involves setting a number. This number can be adjusted throughout the year if you are reading above or below your goal. I recommend setting a reasonable goal and then raising it if necessary. My goal is 100 books. I met this goal in 2018 and it’s reasonable that I will meet it again. Retirement helps tremendously! The 2019 Goodreads challenge will be available at the first of the year. Are we friends on Goodreads? Modern Mrs Darcy 2019 Reading Challenge (very broad, doable categories that might provide some stretch in your reading life). With the number of books I read, this goal is fairly easy for me to achieve. It doesn’t require a sign up (unless you want to receive emails from the site). The next two goals are blog related goals because they provide opportunities for me to link up and connect with other bloggers. Historical Fiction Reading Challenge (especially great for bloggers and reviewers who want monthly link up opportunities). Because I read a majority of historical fiction, I look forward to my first year of participation in this challenge. However, I do have other commitments to NetGalley and various authors, so I’m setting this goal at the Medieval Level of 15 books for the first year to see how it goes. This means I’ll be linking at least one review per month to meet this challenge. I’ll need to link up 3 more reviews during the year to meet my 15 book goal for the year. NetGalley & Edelweiss Reading Challenge (link up opportunities for members of NetGalley and Edelweiss). I’m new to NetGalley this year, so I’ll also set a low goal for this the first year. I’m going for Silver which is 10 books this year from NetGalley. This goal will allow me to link up once a month, but I know I can post more if I exceed my goal. For those of you who desire to know, NetGalley is a website where reviewers can request books from publishers (free books called an Advanced Reader Copy) in exchange for an honest review. Based on my 2018 reading, I know I want to increase my non fiction reading. Out of 107 books read, 15 were non fiction. I’d like to increase that to 20 books for 2019. Happy New Year! I hope you’ve experienced some pleasurable and challenging reading in 2018 and are eagerly anticipating the reading year ahead! To finish out 2018, I’ll be posting a December Wrap Up and My Best Reads of 2018. I’m linking up today with Traveling With T, Estella’s Revenge and Girlxoxo for A Month of Favorites. Did you meet your reading goal for 2019? What is your 2019 Reading Goal? Do you use a method for tracking your reads during the year? and with Traveling With T (and Girlxoxo and Estella’s Revenge) for A Month Of Faves: Winter Reading. If you’ve clicked over from Artsy Reader Girl or Traveling With T, Welcome! I hope you enjoy your visit. Leadership: In Turbulent Times by Doris Kearns Goodwin. It’s the selection for my IRL book club and my hubs wants to read it too. 84, Charing Cross Road and its sequel The Duchess of Bloomsbury Street by Helene Hanff (I’m committed to following through with 84, Charing Cross Road so I don’t embarrass myself by putting it on yet another TBR). ***UPDATE: Charing Cross Road: 3 Stars. Goodreads Review Here. Bottom line: after years of anticipation, these classic reads didn’t quite measure up to my expectations. I liked them but didn’t love them. ***UPDATE: 3.5 Stars. GoodReads Review Here. The Lost Man by Jane Harper (author of The Dry and Force of Nature. I’m counting on this being a solid mystery read. ***UPDATE: 3 Stars. I am disappointed in this because it’s a little dark (although still very well written). See my Goodreads review here. The following are all ARCS (advanced readers copies) that I’ll be reading during the winter….listed in order of release date…..only one releases in winter….three release in spring and one in the summer. Reviews will be written close to publication dates. 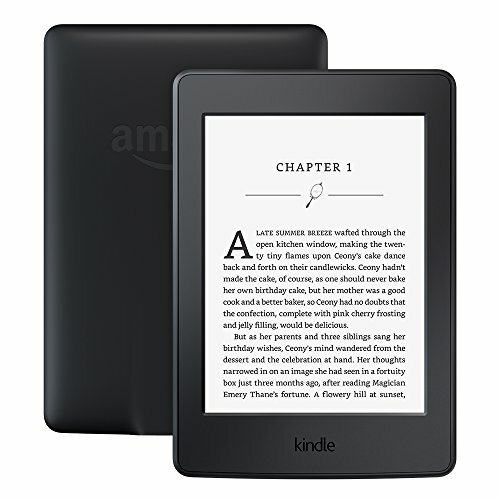 Titles are affiliate Amazon links where you can find more information. ***UPDATE: 5 Stars. Full Review Here. ***UPDATE: 3 Stars. Not my usual genre but it was engaging and features some snappy writing even though it was predictable with instalove and beautiful people. Goodreads Review Here. That’s TEN. Of course I’ll get distracted by other reads, too! Friday, I’ll post my review of Amal Unbound by Aisha Saeed. Isn’t the cover striking?! This is a Middle Grade historical fiction selection and a diverse read. Have you ever considered a reading challenge? Here are the reading challenges I’m considering for the 2019 reading year. The first three are wonderful challenges for any reader. The last one is geared toward reviewers who are members of NetGalley or Edelweiss. Goodreads Reading Challenge (determine how many books you’d like to read and track them through the Goodreads app)….the 2019 challenge will be available at the first of the year. Are we friends on Goodreads? Please share what’s at the top of your winter TBR in comments! Virus. A remote college town in the hills of drought stricken California sets the scene for this story and a strange illness/virus that causes its victims to fall asleep and experience vivid dreams. No one can wake the first college age victims and soon the virus spreads throughout the town, randomly affecting young and old alike. The town is quarantined and the National Guard is called in to enforce the quarantine and monitor supplies. The Dreamers is a story about the people affected and their reactions and actions. Thanks #netgalley and #randomhouse for my free copy of #thedreamers in exchange for an honest review. All opinions are my own. Dreams. Have you ever had a dream that was so real that you had difficulty orienting yourself to a wakeful state? Have you ever pondered the meaning of your dreams? Have you attempted to make sense of your dreams? Do you think dreams can predict the future? Or have you wondered about the passage of time while you sleep? Have you even been asleep briefly but had a dream that seemed to last a long time? Have you experienced dreams about people who are no longer alive? Unique. The Dreamers came to me at exactly the right time. Usually science fiction is a genre I’m tempted to pass over. Yet, I’m thrilled I took a chance on reading The Dreamers by Karen Thompson Walker. Even though I don’t read a lot of science fiction, I became intrigued by several reviews of The Dreamers from respected reviewers on Instagram, Goodreads, and in blog posts and I was very much in the mood for something different. Once I noticed this title, I knew I had to see for myself! I hope you, too, will give this unique story a chance. Not Too Weird. Because I don’t typically read science fiction, I truly appreciate the mild nature of this character driven story. There’s nothing too weird, grotesque, or frightening. The strange illness that causes victims to suddenly fall into a deep sleep from which they cannot be awakened strikes young and old alike and at random. Some victims sleep longer than others and as the epidemic spreads from the college students and throughout the town, it’s a challenge to keep all the patients alive under quarantine conditions. As victims wake up, they report having vivid and realistic dreams and a few struggle with the meaning of the dreams and have difficulty adjusting to life outside of the dream state. The virus disappears as mysteriously as it appears. the prose is lovely, and the story told from multiple points of view is a quick read, engaging, bittersweet, and thought provoking. Sleep. The Dreamers causes you to think about your own crazy dreams and about how you and your city would react in any crisis. Considering the dire circumstances, it’s a fairly gentle read as the college students and the town’s residents succumb to the most routine and ordinary part of a typical day….falling asleep. The eerie part is that they might fall asleep while mowing the lawn, making dinner, or walking the dog. For a few nights after finishing the story, I certainly thought about closing my eyes as I lay on the sofa or as I fell asleep for the night. If you have difficulty sleeping or experience troubling dreams, this might need a trigger warning. The story is like an episode of The Twilight Zone. Recommended. The Dreamers is a heartwarming story of community, individual survival, and neighbor helping neighbor. I highly recommend this story for readers who are looking for something a little different, for those who enjoy a mild science fiction selection with a touch of psychology and philosophy, and for fans of beautiful writing and a compelling story line. It would make a great vacation read, buddy read, or book club selection. I was left with a few unanswered questions though as the cause of the virus and the recovery are never fully explained. Next week, I’ll post my review of Amal Unbound by Aisha Saeed. Isn’t the cover striking?! This is a Middle Grade historical fiction selection and a diverse read. Goodreads Reading Challenge (determine how many books you’d like to read and track them through the Goodreads app)….the link is to my 2018 challenge….the 2019 challenge will be available at the first of the year. Do you like books that are outside your typical genres? Do you enjoy science fiction?